Welcome to Plant-based4Health! We are excited about the launch of our new website, a “go-to place” for vegan resources and recipes. Join us as we share successes and challenges of being vegan and discuss important information about the food we eat and how it relates to our health. 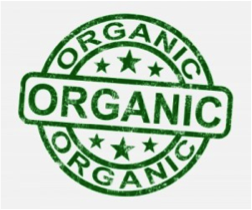 There are several different ways companies boast that their products contain organic contents. But be careful, the seals can be misleading, making it important to understand the meaning behind the different labels. The 100% Organic Seal means all ingredients and processing aids are organic. The product may also display the USDA Organic seal. 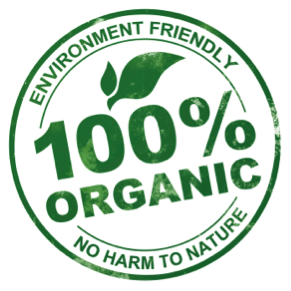 Products using the Organic Seal or the statement “made with organic ingredients” must contain 70-94% organic ingredients. 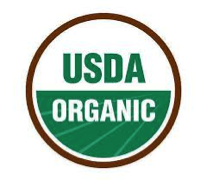 These products will not display the USDA Organic seal, however, they should list up to three organic ingredients on the front of the packaging. Products with less than 70% organic ingredients may only list organic ingredients on the information panel of the packaging and will not display the USDA Organic seal. 1. Buy local, avoiding products from out of the country where pesticide regulations are more lax. Many small local farmers don’t go through the expensive process of organic certification but still grow their produce with minimal, if any, agricultural chemicals. Check out your local farmers market. 2. Avoid purchasing high pesticide foods. Each year, the Environmental Working Group (EWG) releases 12 of the most pesticide-laden fruits and veggies sold in the U.S. Currently, produce that are lowest in pesticide residues include: asparagus, avocados, bananas, broccoli, cabbage, eggplant, kiwis, mangoes, onions, pineapples, shallots, sweet peas, sweat potatoes, and watermelon. 3. Avoid GMO foods. The “NonGMO Project Verified” seal indicates that the product has gone through a strict verification process. Be careful of claims that a product is “GMO free”. Those products have not been verified by a third-party. Currently, the NonGMO Project is the only organization offering legal and scientific verification. A few of the top GMO foods to avoid in the U.S. are canola, corn, Hawaiian papaya, soy, and sugar beets. 5. Avoid frozen, canned and dried foods. Instead, buy fresh produce that is in season. When produce is in season, the relative abundance of the crop usually makes it less expensive. 6. Grow your own. We always have something growing in our garden, depending on the season. It provides a small addition to our diet that we know is fresh and organic. This entry was posted in Nutrition, Recipes and tagged Plant-based, Vegan. Bookmark the permalink.